Tackle Any Adventure With Ease With The New Land Rover Explore! From long-lasting battery life to consolidating all gadgets into one device, this outdoor phone is every adventurer's dream. Does getting lost in the mountains sound like just the adventure you need? Then it’s best you start packing that never-ending list of gadgets runners need. A cellphone, charger, GPS tracker and camera are just a few of the items runners cannot do without, but packing all these can be very stressful. Thanks to Land Rover, things are about to change! 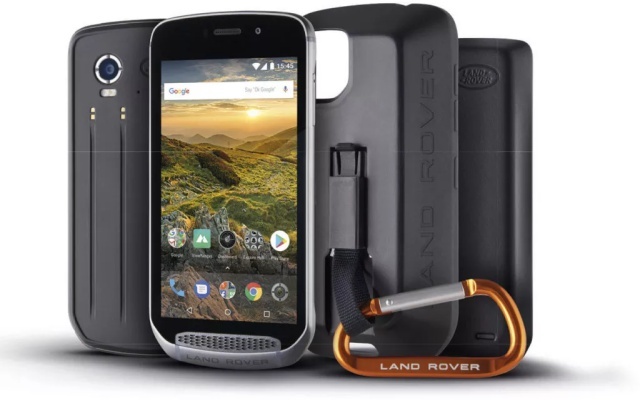 Every adventurer’s dream just landed in SA – the new Land Rover Explore Outdoor Phone was launched in January and offers long-lasting battery life, plus consolidates all gadgets into one device. At the heart of the Land Rover Explore is a powerful 4000mAh battery that gives two days of typical use, or a full day of activities, with constant GPS Navigation mapping activated on the 5” HD display. Battery life can also be doubled by adding the included Adventure Pack while on the go. The Adventure Pack can replace the need for a separate GPS device with its GPS patch antenna that improves the reliability and accuracy of the GPS. It also adds an additional 3600mAh of battery power and topographic mapping with Skyline augmented reality, courtesy of ViewRanger. The Land Rover Explore withstands everyday use outdoors with exceptional durability. It is drop tested to 1.8 metres. It can survive underwater – including in salt water, complies to IP68 rating, and can cope with extreme temperatures, thermal shock, humidity and vibration exposure. This level of protection ensures the device can survive heavy downpours or a muddy trail and will continue to work, keeping users connected at all times. In addition to pure convenience, the specifications of the phone are phenomenal! Customisable Outdoor Dashboard to access to the most important weather information, sensor data, and on-device tools for your activity: for example, weather, wind, tides, compass, SOS light, etc. Since it’s unveiling in January at ISPO, the world’s largest sports trade show, the Land Rover Explore has completely impressed the outdoor community. It’s already won an various awards, and is guaranteed to make adventure fun again! The Land Rover Explore will be available through Vodacom, agentzero.co.za, lifestyle.landrover.co.za or nearest Land Rover dealer.